Sometimes we need to block the mails from our domain to external domains. This can be achieved by adding custom lines in exim configuration. 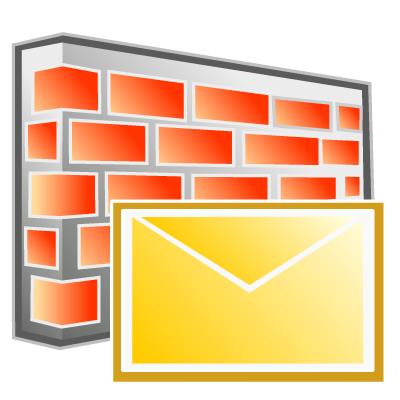 This article explains the configuration details to block mails to outside domains. Open exim configuration file /etc/exim.conf and enter the below lines in the "ROUTERS CONFIGURATION" block. The working of this set up is explained below using real time conditions for the domain example.com. to: user@gmail.com >>> Mail failed with message "External mails blocked by Administrator"
cc: user@gmail.com >>> Mail failed with message "External mails blocked by Administrator"
bcc: user@gmail.com >>> Mail failed with message "External mails blocked by Administrator"
If we need to whitelist any mailids from this restriction, just save those ids in the file /etc/whitelisted_mailids. Those id's in the file whitelisted_mailids can send mails to outside domains. Its important that we could not whitelist a domain by simply adding *@domain.com as in the case of exim filter. We need to specify each and every ids seperately like wise user1@domain.com and user2@domain.com for all domains to be whitelisted. If we need to use wildcards in whitelist file, just change the custom configuration in exim.conf as given below. Now we can whitelist a domain by simply adding *@domain.com to the file /etc/whitelisted_mailids.